The Rosneath Peninsula projects south from Garelochhead, separating Gare Loch and Loch Long and forming the north shore of the River Clyde opposite Gourock. The peninsula owes virtually the whole story of its development to the sea, though with two very different eras producing very different aspects of what you see today. 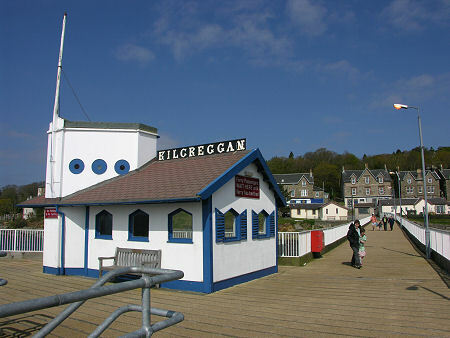 Kilcreggan, at the southern tip of the peninsula, typifies the first period of the peninsula's growth. 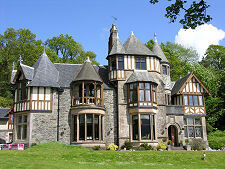 With Cove, to its north west, a visit to Kilcreggan is like stepping back in time. 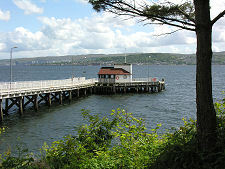 Kilcreggan Pier is the last remaining original Victorian pier on the Clyde, and as you look around from the viewpoint it offers, most of the buildings seem to date back to the same era. 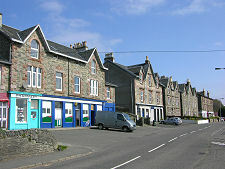 Kilcreggan and Cove grew during the era of the Clyde steamers from the 1820s onwards. 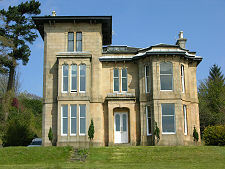 Those who could afford to do so had their architect build a distinctive and distinguished house for them, from which they could enjoy distant views across the Clyde to the hills of Argyll. 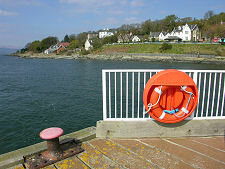 Kilcreggan Pier not only survives, but continues to be used. 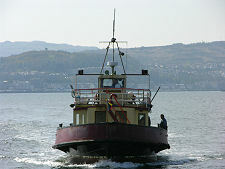 It is the terminus for the ferry that links Kilcreggan with Gourock, on the far side of the Clyde. For many years there was also a ferry link to Helensburgh on the far side of the mouth of Gare Loch, but this ceased in 2012. 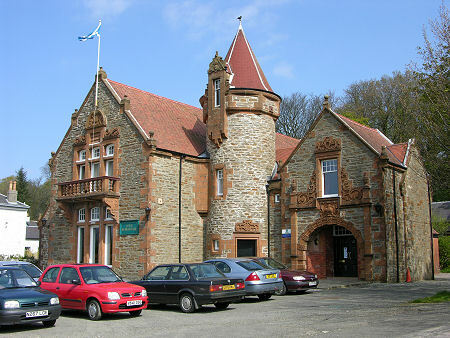 Development of the area continues discreetly up the hillside, where you find the Kilcreggan Hotel amongst more Victorian villas. Cove follows much the same theme, although it's Victorian pier is sadly long gone. Perhaps the highlight here is the Cove Burgh Hall & Reading Rooms, though Cove Castle, a little further up the coast, runs it close. 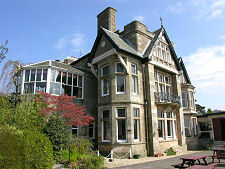 The excellent Knockderry House Hotel overlooks the shore a little north of Cove. 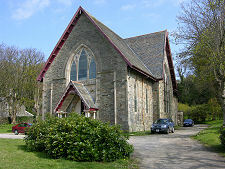 Once upon a time the Victorian theme continued right up the west coast of the peninsula. Today the story is rather different and the settlement of Coulport has largely been swallowed up and hidden behind the high security razor wire of the Royal Naval Armament Depot, Coulport. This is a sign of the second major influence on the development of the Rosneath Peninsula. RNAD Coulport is linked by a military road around the north of Garelochhead to the still larger naval base at Faslane, which first arrived during the second world war. Another effect of these bases has been the recent expansion of settlements on the east side of the Rosneath Peninsula like Clynder and Rosneath to accommodation naval personnel and their families.